I had a lot of canning to do this weekend and included in all my food glory was my grandmother’s spaghetti sauce. I had some larger jars that I didn’t have new canning lids for, so I decided to keep them in the fridge and attempt to make my own pasta. It was super easy and really doesn’t require fancy equipment. Just your hands. Dump the flour on your counter top. 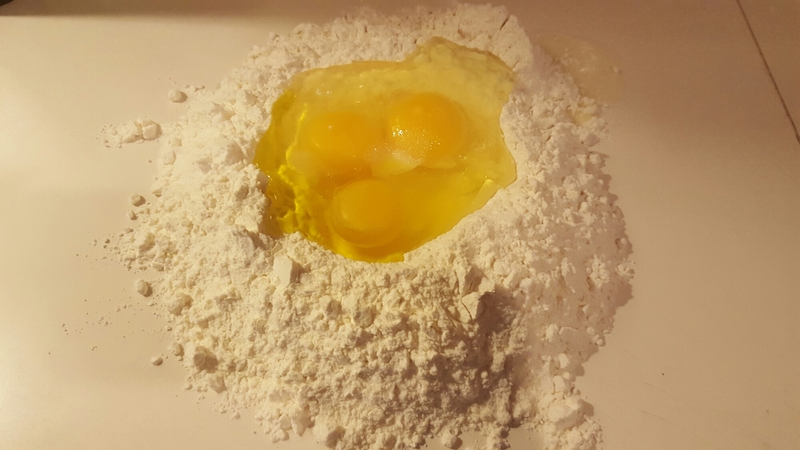 Make a well in the middle (like a crater in the center of your flour) for the wet ingredients to go. Using a fork, scramble the eggs carefully incorporating the flour as you go. Eventually, you will get a wet slop of flour as it will still be sticky. This is the perfect time to start using your hands. As you knead the dough, it will come together quickly. Knead the dough for 10-15 minutes to activate the gluten in the flour. 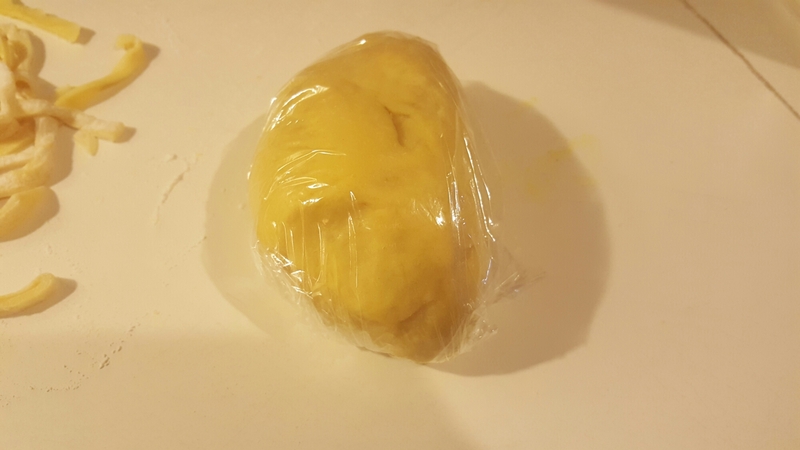 Wrap the dough in plastic wrap and let rest for 10 minutes to allow the gluten to relax. Now to get creative! 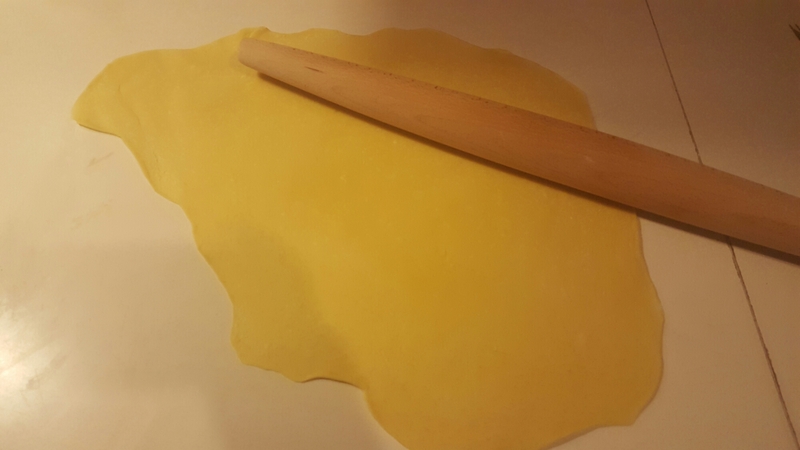 Cut the dough in half and start rolling. You do not have to add additional flour because it really doesn’t stick. 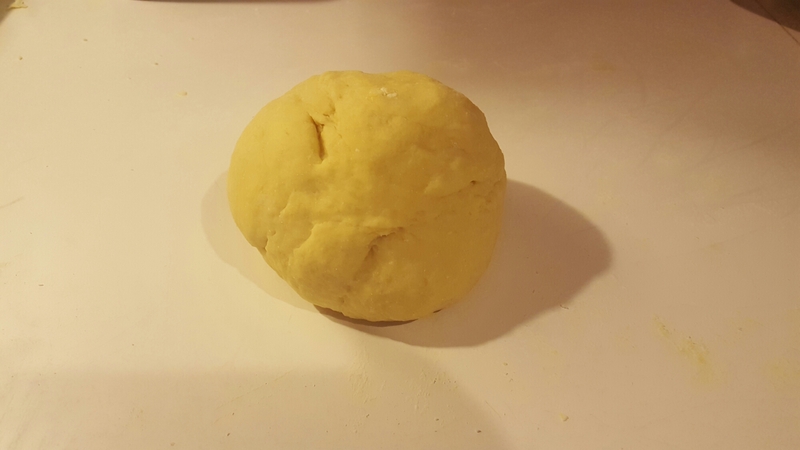 Every time you roll about 7-8 times, pick up the dough completely from the counter and rotate it. Do this until it gets really thin and almost see through a little against your hand. Not see through, but you can see the shadow of your hand behind it. Cut into strips for spaghetti or fettuccine, squares for raviolis, or 2″ rectangles and pinch in the middle for bow tie pasta. Sprinkle a little flour as you cut your pasta, tossing lightly to coat so they don’t stick together. The sky is the limit and it is really fun to make! 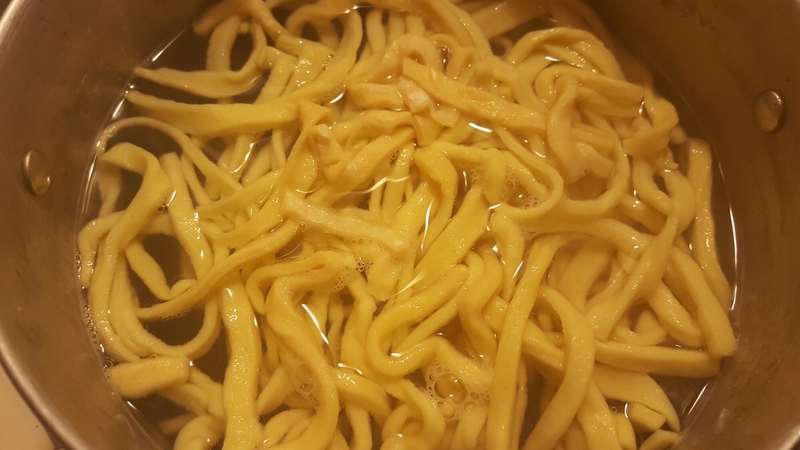 To cook, boil in salted water for about 5 minutes until the noodles are al dente. Fresh pasta has more chew than box pasta, so don’t get discouraged. Pasta uses common staples that most homes always have on hand. It’s fresher tasting with a slight chew versus box pasta that can get mushy. 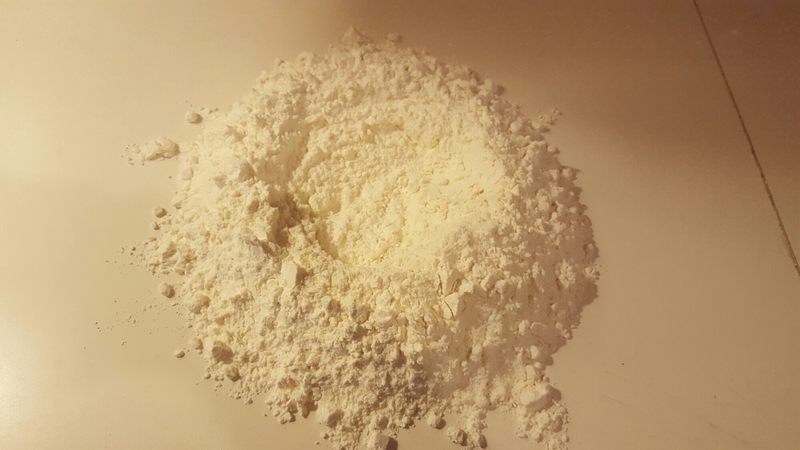 Commercial pasta isn’t always made with eggs, just semolina flour and water, then it is pushed through molds. So if you have an egg allergy, homemade pasta isn’t the best option unless you make it without eggs. An average box of pasta can run up to $1.50/lb, fresh pasta at the store up to $4/lb, and homemade pasta for me in my area cost me about $.27 cents. I buy 50lb bags of flour keeping my cost down and my eggs are .89/dozen. In the time it takes to boil water, then cook commercial pasta, you can make your own. 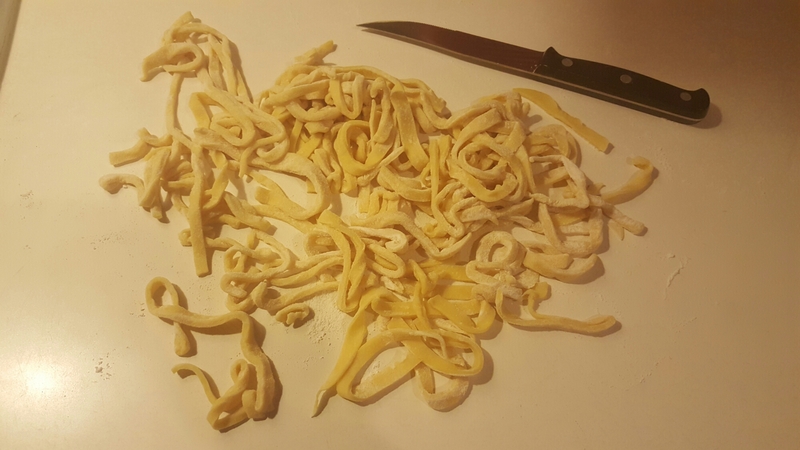 I literally just made homemade pasta for the first time ever last week. I made ravioli, and since I only used half of the tub of ricotta I made a lasagna with fresh noodles over the weekend! I. AM. HOOKED!